The Blue-winged Pitta Pitta moluccensis is a winter visitor to Borneo but this particular individual could have stayed over from earlier in the year. It was discovered in early July in scrub forest near to a housing area in Kota Kinabalu. Always a favourite with birders and bird photographers, it attracted a lot of attention while at the same time adding more discussion to whether this lends to possible local breeding. 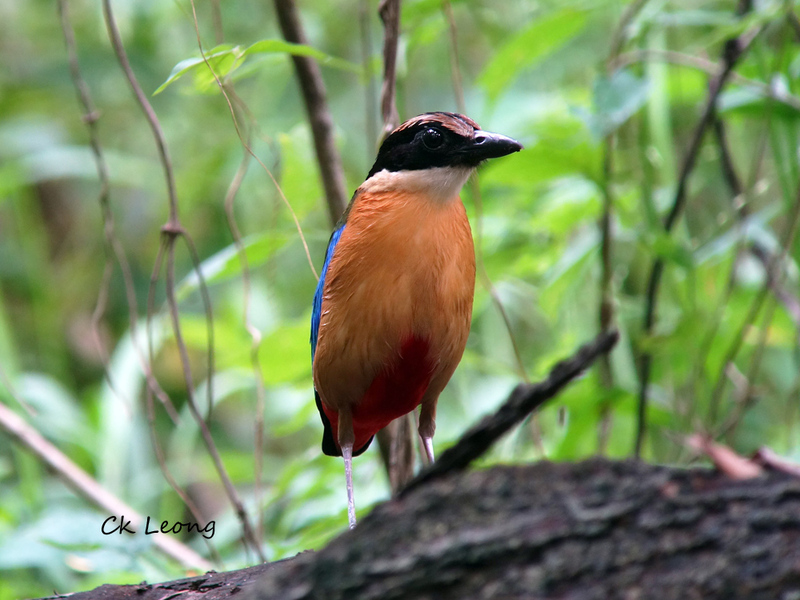 Here’s one of my all time favorites, the Blue-headed Pitta Hydrornis baudii. This Bornean endemic is locally common in lowland primary forest but is constantly threatened by habitat loss. Its behavior is similar to that of other pittas as is its feeding habit. It has taken me a long time to get reacquainted with the wonderful bird. After the Pitta granatina was split in 1996 (Lambert), I have been trying to see this bird which retained the common name of Garnet Pitta. 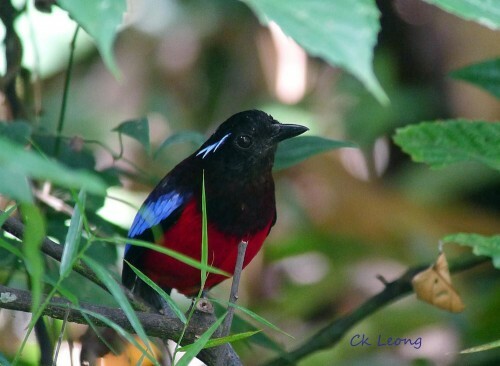 Last year, during a visit to Kalimantan, my luck came up and spotted it in the lowland forest of the Sungai Wain Protected Forest near Balikpapan. Its behavior reminded me of its now northern Bornean cousin Pitta ussheri. Both are great looking jewels of the forest floor. 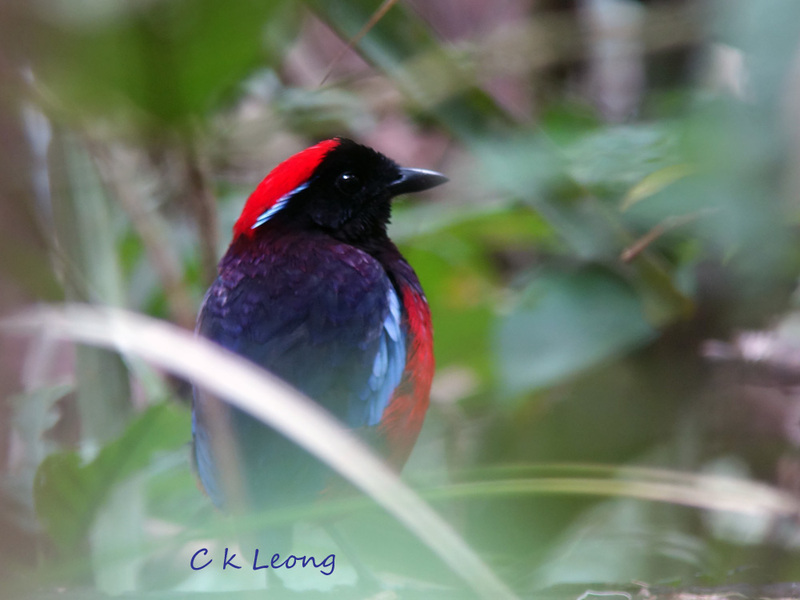 Pittas are often considered as the jewels of the forest floor in the tropics. 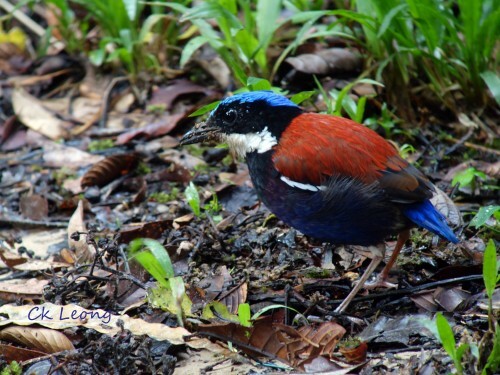 Borneo is lucky to have 4 endemic pittas including this Pitta usherri (also called Black-headed Pitta) which is only found in the northern portion of the island. Previously it was lumped together with the Garnet PItta which is found south of the Sabah border. These birds are ventriloquial, so don’t forget to look upwards where they sometimes are perched on branches.